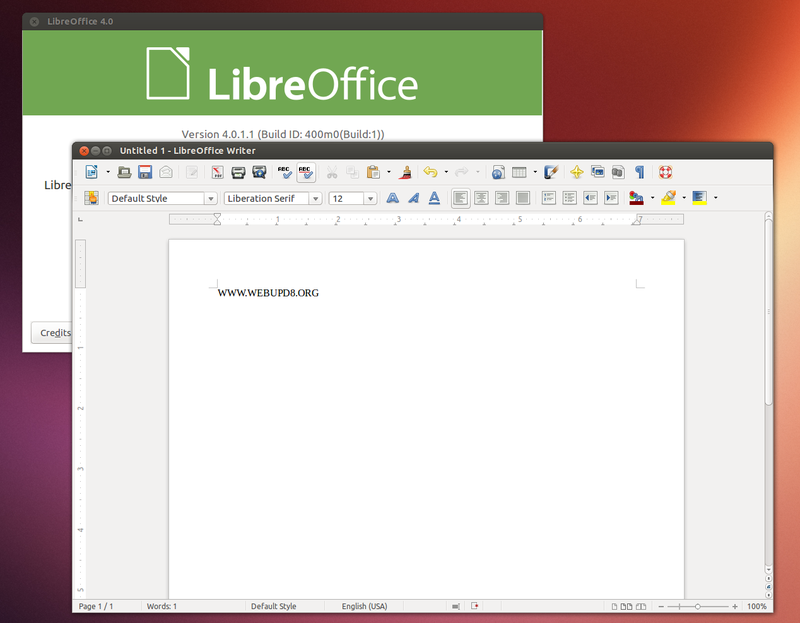 LibreOffice 4.0 has been released almost a month ago and today, it's finally available in the main LibreOffice PPA, for Ubuntu 13.04, 12.10 and 12.04. LibreOffice 4.0 comes with many changes, including Unity appmenu support, option to use Firefox Personas, better interoperability with DOCX and RTF documents, a new LibreOffice Impress Remote Android App and many other changes. 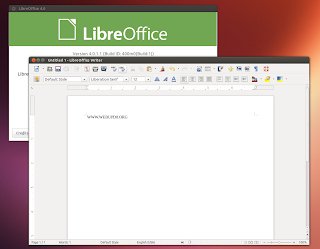 For more info, see our LibreOffice 4.0 Available For Download article. LibreOffice can be installed in Ubuntu by using a a large archive of deb files that can be downloaded from LibreOffice.org, but the packages available in the PPA (or in the official repositories) come with some Ubuntu-specific tweaks - for instance, the LibreOffice debs downloaded from the LibreOffice website didn't have built-in Ubuntu appmenu (global menu) support, at least in my test, while the packages in the PPA have this by default, even for Ubuntu 12.04. Another advantage of using a PPA is getting automatic updates / easier to upgrade to newer LibreOffice versions. To set a Persona, from the LibreOffice 4.0+ menu select Tools > Options > Personalization, make sure "Own persona" is selected, then click "Select Persona" and enter a link to a Firefox Persona. At the time I'm writing this, the main LibreOffice PPA has LibreOffice 4.0.1 RC1, which addresses some bugs found in LibreOffice 4.0.0 (changlog here), for Ubuntu 12.04, 12.10 and 13.04 (the LibreOffice version in the main Ubuntu 13.04 repositories is currently 4.0.0 beta 2). Before continuing with adding the PPA, please note that the PPA description says that "most of the packages in this PPA have only experienced minor testing". So use this at your own risk! Then, launch Software Updater and upgrade the packages (alternatively, you can also use "sudo apt-get dist-upgrade").